I may have said before that one of my goals this third round of Whole30 and also our previous round was that I wanted to branch out and try out some new recipes. I’ve tried really hard this month to make something completely different each time I cook a meal and not repeat anything, just because I want to have some new staple meals in our weekly rotations. 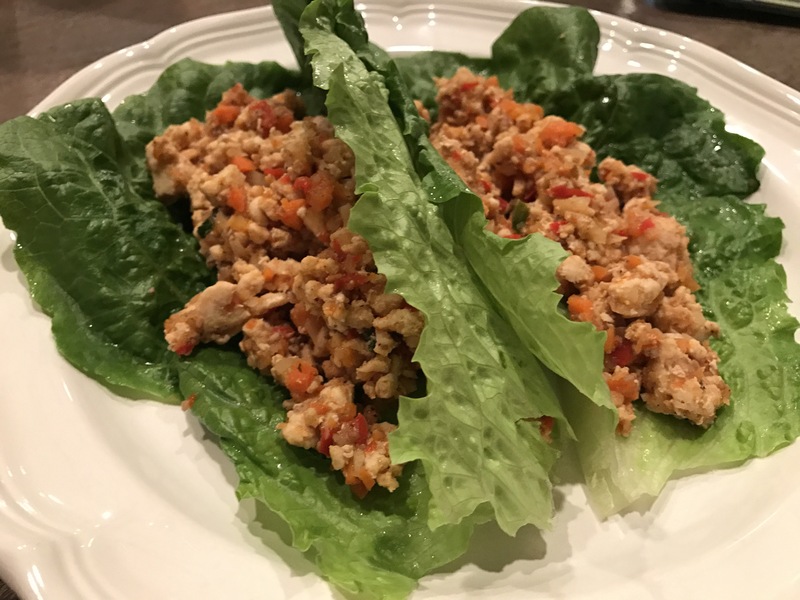 The Whole30 Recipes Instagram feed has given me a lot of tasty go to recipes and that is where I found this one too! One of their guests shared this recipe on their feed so I definitely wanted to tag the Whole Sisters on this so they get the credit haha! This one definitely will be added to our go to list! It wasn’t challenging, it was full of veggies and really tasty! We really liked it just because it was different than what a lot of our meals are like and incorporated some new flavors. Again, good leftover, which is a must in my book because I almost always eat leftovers for lunch and Jacob almost always brings leftovers to work these days. Add the sauce to the chicken mixture and cook another 5 minutes. 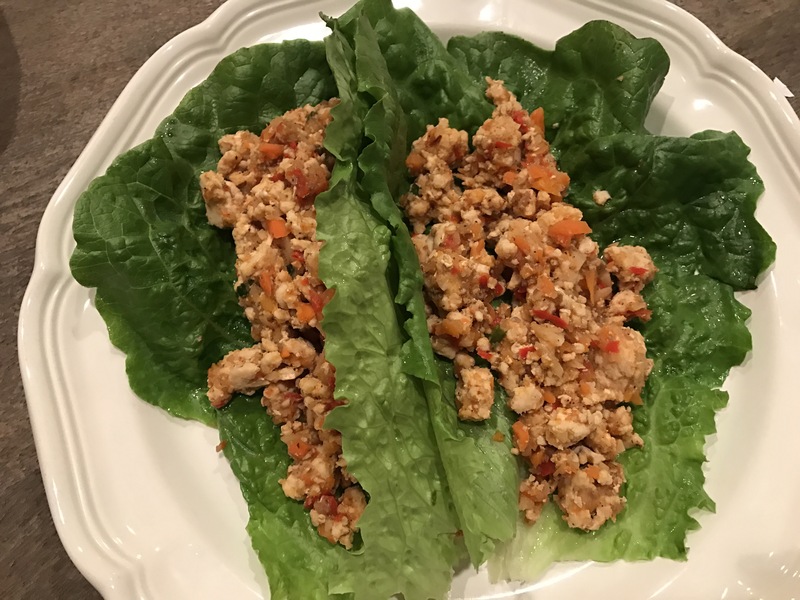 Scoop the chicken mixture into lettuce wraps and enjoy! I roasted some butternut squash to go with this and they were pretty tasty together! I love how colorful this is!